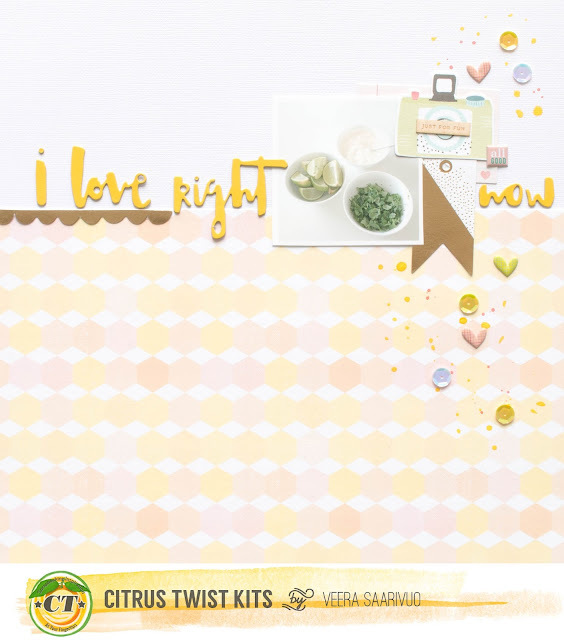 Hi, it’s Veera here today to show you my first layout with the August kits. For this layout I used the "Kaleidoscope" Scrapbook Kit. 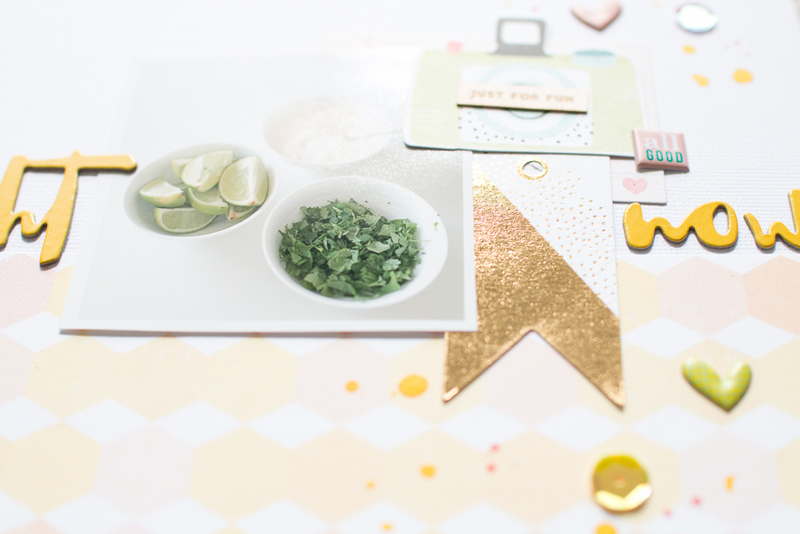 Once again I loved the exclusive products from the kit, especially the pattern paper that I used in the background. The colors of this kit are so fresh! I picked the colors of this layout from the pattern paper and complemented it with a splash of gold. To balance the horizontal design elements I scattered small embellishments on right side of the layout. Make sure you don’t miss the kits this month! 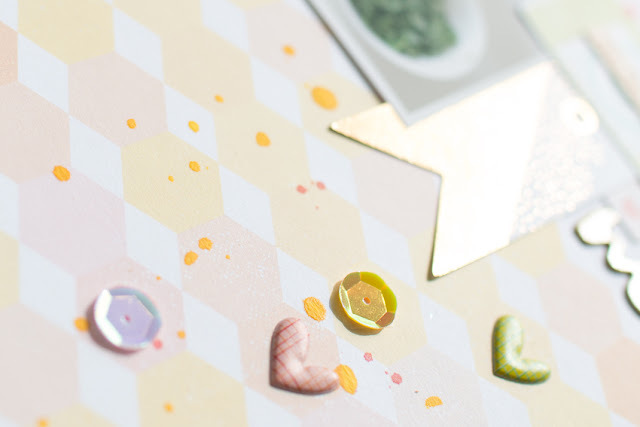 The patterned paper is lovely! 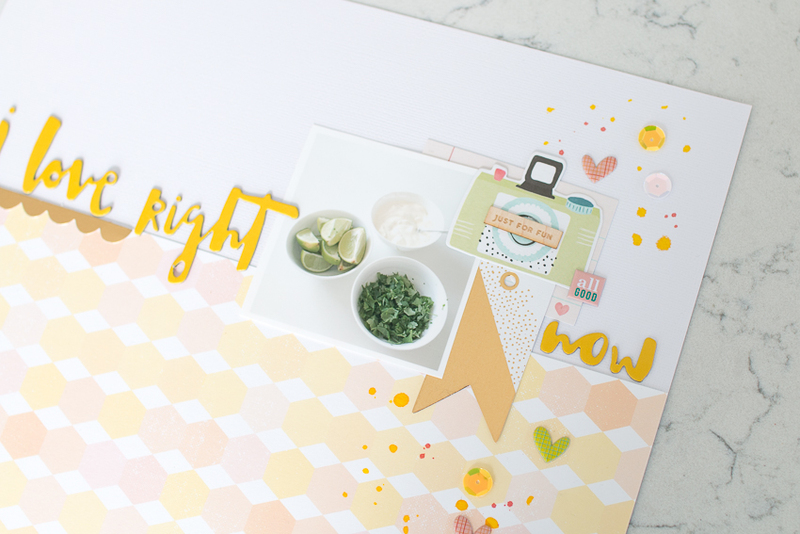 Cute layout! I love this layout right now!